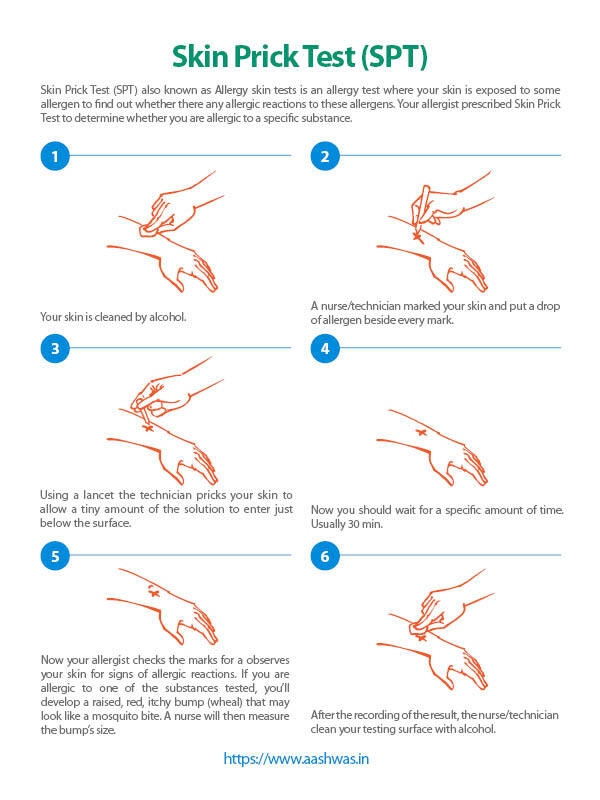 Skin Prick Test (SPT) also known as Allergy skin tests is an allergy test where your skin is exposed to some allergen to find out whether there any allergic reactions to these allergens. Your allergist prescribed Skin Prick Test to determine whether you are allergic to a specific substance. These substances can be a food you eat, something you touch or breathe. Most importantly directly diagnose the allergic substance cause the allergic reaction in a short time. So the treatment can start immediately. This test checks allergic reactions for as many as 40 different substances at once. This test is usually done to identify allergies to pollen, mold, pet dander, dust mites, and foods. In adults, the test is usually done on the forearm. Children may be tested on the upper back. Why should you do the Skin Prick Test? SPT is an essential test procedure to find sensitization in IgE-mediated allergic disease in subjects with Hay fever (allergic rhinitis), asthma, rhinoconjunctivitis, Dermatitis (eczema), anapylaxis, urticaria, atopic eczema and food and drug allergy. This is not a painful test. A needle(lancet) is used to prick your skin during the test which is not at all painful or you lose any blood. Follow are the steps of the test. Now you should wait for a specific amount of time. Usually 30 min. 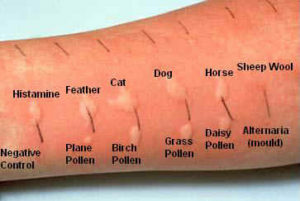 Now your allergist checks the marks for a observes your skin for signs of allergic reactions. If you are allergic to one of the substances tested, you’ll develop a raised, red, itchy bump (wheal) that may look like a mosquito bite. A nurse will then measure the bump’s size. The risk is very minimal in this test. Although some people may have experienced some side effects/complications like hives or wheels (swollen, red, itchy bumps on the skin). Anaphylactic Reactions is the most extreme case of an allergic reaction people can get during the test.